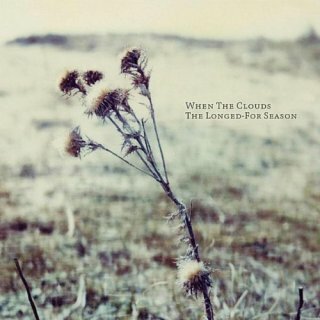 When The Clouds, the solo project of Italian musician Francesco Galeno, is electronic post-rock in the vein of bands like Metavari and The Album Leaf. His six-track EP, The Longed-For Season, certainly lives up to its album title; it absolutely feels like an album about longing. It does not swell or soar in any grand way; instead, it explores the muted aspects of life through the use of Rhodes piano, guitar, and glockenspiel mixed in with subtle glitchy effects. Tracks like “Rise On” would feel appropriate on the soundtrack for a summertime movie about unrequited love. “Flooding River” seems to harbor a sense of patient earnesty, as if one were waiting for an answer to a heart-wrenching question. But it is perhaps “November Song” which stands out as most fascinating; its use of electronic, almost robotic-sounding percussion seems to give the track a hidden level of emotional complexity that feels a bit too obvious in the other songs. The emotional consistency felt on this EP is perhaps its best and worst quality; a lack of change in pacing and mood makes the album feel less like an attention-demanding journey and more like fodder for dreams. All in all, The Longed-For Season might not be the most memorable of post-rock releases, but it might strike a chord if the events in your life match up with the sentiments embedded within it.